Summer is starting to heat up here in Chicagoland, and so is the racing at Arlington International Racecourse. The biggest race day of the year is, of course, the Grade I Arlington Million. But this weekend’s Million Preview Day will feature some racing that may be just as compelling. For the fifth year in a row, The Pizza Man, an Illinois-bred and fan favorite, will contest the Grade III Stars and Stripes, a 1 ½-mile affair on the turf which goes off as race 8. 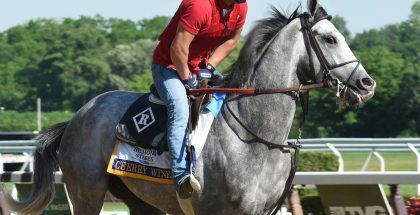 The eight-year-old Gelding is a two-time winner of this event, including a win in 2015 that propelled him to his upset victory in the Million. The Roger Brueggemann charge is coming off of a fourth-place finish in the Black Tie Affair on June 17 following a seven-month layoff.